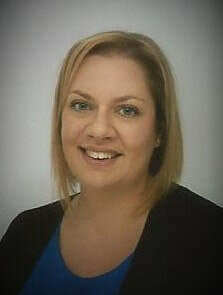 Hello, my name is Claire O'Brien, I am a Certified Play and Creative Arts Therapist, Registered SandStory Therapist, Therapeutic Life Story Work Therapist, Child-Parent Relationship Therapy Practitioner, and Accredited Heart to Heart Practitioner. I offer a range of play and creative arts therapies to children, young people, and families in and around the Dorchester area of Dorset, with a mobile service that brings the therapy to you. I moved to Dorset from the North West of England in July 2017. Prior to my move I worked as a therapist in inner city schools across Liverpool, Warrington, and Manchester including mainstream primary schools, a special needs school, and pupil referral units. Since moving to Dorset I have worked for Families for Children Adoption, and Dorset and South Wiltshire Relate. I currently work as an independent therapist in schools, a bereavement therapist for the county-wide charity Mosaic supporting bereaved children, and I am accredited by Bournemouth County Council as an approved provider of adoption therapies, working closely with the Regional Adoption Agency, Aspire Adoption. I have worked with children and young people presenting with a wide variety of difficulties and life experiences, including attachment difficulties, abuse, neglect, loss, bereavement, self-harm, suicidality, anger, parental separation/divorce, aggression, school phobia, peer relationship difficulties, low self-esteem, low self-confidence, fostered, adopted, anxiety, school exclusions, sexualised and sexually harmful behaviours, autism, attention deficit hyperactivity disorder, conduct disorder, and global developmental delay. Prior to training and working as a therapist, I worked in a diverse range of roles with children and families including in nurseries, schools, children's centres, domestic abuse services, and a children's hospice.​ I have also delivered a careers talk about Play Therapy to college students (2015), and I worked as a guest lecturer in both the Education, and Social Sciences Departments at Edge Hill University, Lancashire, delivering lectures to undergraduate students on 'Team Around the Child and Domestic Abuse' (2012-2013), and Play Therapy Theory and Practice (2011-2015). Site powered by Weebly. Copyright© 2018 Claire O'Brien Time for You Therapy. All rights reserved.